Live life fearlessly, with subliminal messages! Wipe away fears, eliminate anxieties, and enjoy a more fulfilling life. View More. Are you overwhelmed by fear of having a heart attack? 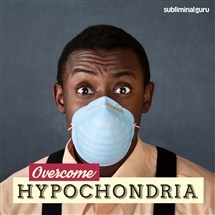 Want a simple solution that's fast, effective, and painless? Fear of a heart attack puts extra stress on your body. You panic, and that raises your pulse rate, making you think your heart's going to give up. To cope with it, you need to address the problem from the inside out. 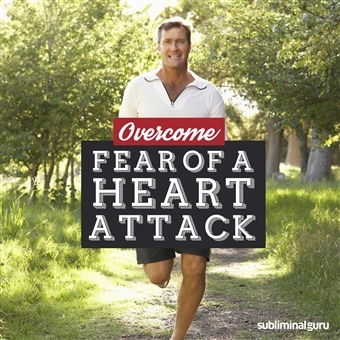 With the Overcome Fear of Heart Attack subliminal session, you'll push panic aside and wipe stress out of your body! As you listen, thousands of powerful positive affirmations will work to influence your thinking, helping you ease your anxious mind. You'll start to relax and let your body regulate itself, keeping your nerves under control and your heart functioning perfectly. You'll become more composed and peaceful, knowing that your heart is healthy and incredibly strong. Feel your fear just disappear! Download the Overcome Fear of Heart Attack subliminal audio now to enjoy a comfortable and fearless future - starting today. I have a strong and healthy heart. My heart is in great shape. I take good care of my heart. I know my heart keeps my blood circulating just fine. My heart beats consistently every second. I have the heart of a lion. I am able to relax and let my body rejuvenate. I let stress simply wash over me. My heart works exactly the way it should. I am grateful for having a fit and healthy heart.